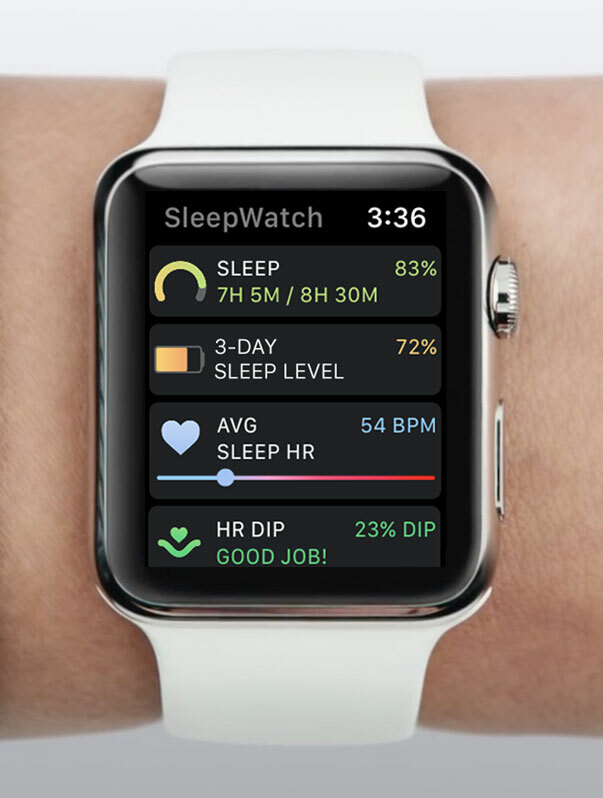 I want to track sleep with my Apple Watch; but, when do I charge it? The great news is that there is a way for you to still wear your Watch for most of the day while enjoying the added benefit of using your Watch to track sleep at night without having your battery die. The key is to adopt the correct daily charging habit. Let's get started with some basic fundamentals. According to Apple , one can expect it to take 90 minutes to charge an Apple Watch battery from 0% to 80%. Furthermore, according to Apple , one can expect about 18 hours of Apple Watch battery life with typical use. Additionally, based on our own experience and from user feedback, SleepWatch, our app that automatically tracks your sleep patterns in the background, does not add additional significant drain on battery life. This means that under typical use, as long as you charge your Watch for about 60 to 90 minutes every day, you should be able to keep your Apple Watch battery topped off for around-the-clock wearability while using it during the day and at night to track your sleep. Based on our own experience and feedback from SleepWatch users, we recommend devoting 60 to 90 minutes every evening before bed to charge your Watch. For example, if you typically go to bed at 10:00pm; then we recommend adopting a habit of starting to charge your Watch at 8:30pm or 9:00pm before putting your Watch back on your wrist for sleep. Alternatively, some users prefer to charge the Watch for about 30-45 minutes in the morning when getting ready or showering and for another 30-45 minutes in the evening prior to bedtime. Learn more about Sleep Watch, one of the best sleep tracking apps. Find out why SleepWatch is used by so many around the world.